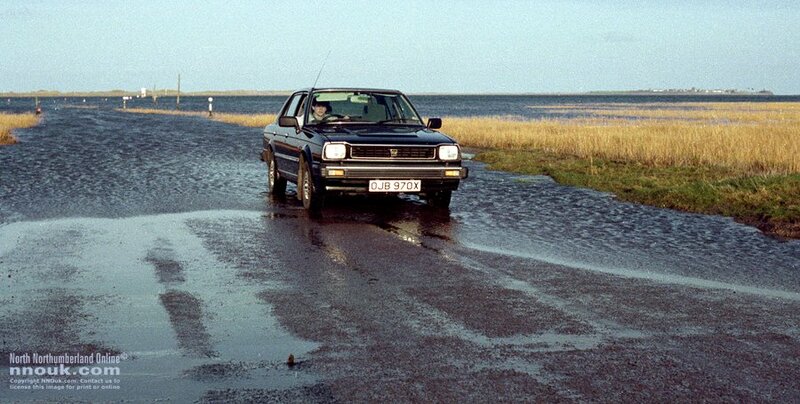 Twice a day, the sea sweeps in across the 3-mile-long causeway, cutting off access to and from the mainland. This isn't like a ford which you can drive through, these are dangerous currents with deep water that will quickly cover a car and wash it away. The wise traveller checks the timetable of safe crossing times, which can be found at the beginning of the causeway and at local Tourist Information Centres. Some residents say the island being cut off twice a day gives it a magical and tranquil quality. Holy Island tourists 'driving into North Sea.' BBC. Tidal tourists mystify islanders (VIDEO). BBC. 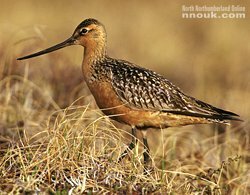 A bar-tailed godwit. Photo: U.S. Fish and Wildlife Service. The Island is a National Nature Reserve and a wetland of international significance. The tidal mudflats, saltmarshes and dunes provide an environment that is home to many interesting plants, insects and birds. Rarer plants include the purple northern marsh orchid and early marsh orchid. Six internationally important species of wildfowl and wading birds overwinter at Lindisfarne: pale-bellied brent geese (this is their only regular wintering place in Britain), greylag geese, wigeon, grey plovers, bar-tailed godwits and redshanks. 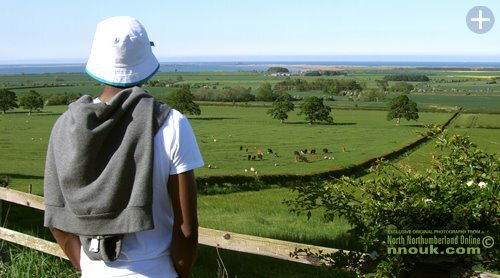 Looking towards Holy Island from inland. From the book 'Local Records' by John Sykes. Published in 1833. 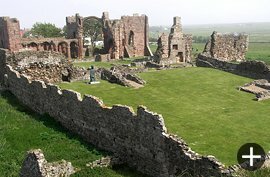 'September 5 - Two postilions in the service of Mr Maddocks of Wooler Haugh Head were on the afternoon of this day employed with four horses in conveying a gentleman's carriage in which were himself and family to Holy Island. About nine o clock in the evening the postilions set out on their return homewards with their horses and shortly after a thick fog came on. 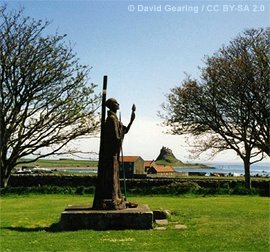 Holy Island was originally called Lindisfarne. 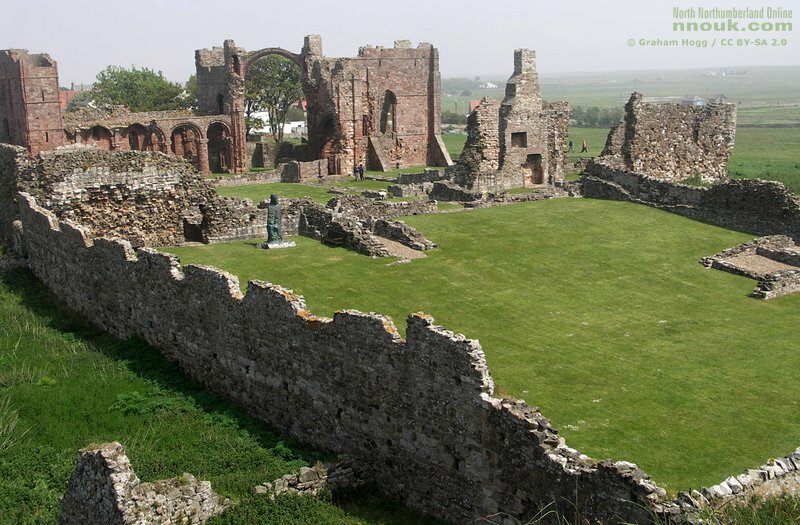 St Aidan founded a Priory here in 635 AD and by the 11th Century the Island had become the focal point for Christianity in the north of England. It was then that the name was changed (although both are still in common use). The Priory is now a ruin and a Visitor Centre explains how the monks used to live. 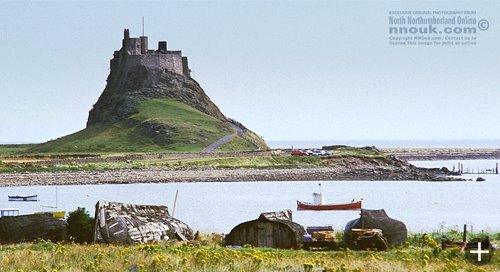 Lindisfarne Castle was built in 1550 to protect the Island from attacks by the Scots. It was converted into a home by the architect Edwin Lutyens in 1903. Other attractions include a mead factory, the picturesque village itself and the wildlife. The Pathe News website has a film of a wedding on Holy Island in 1941. Able Seaman James Douglas marries his childhood sweetheart Mary Cromarty in the church. Then the couple follow several 'quaint traditional rites' which include leaping over a stone and scattering coins to the local children. 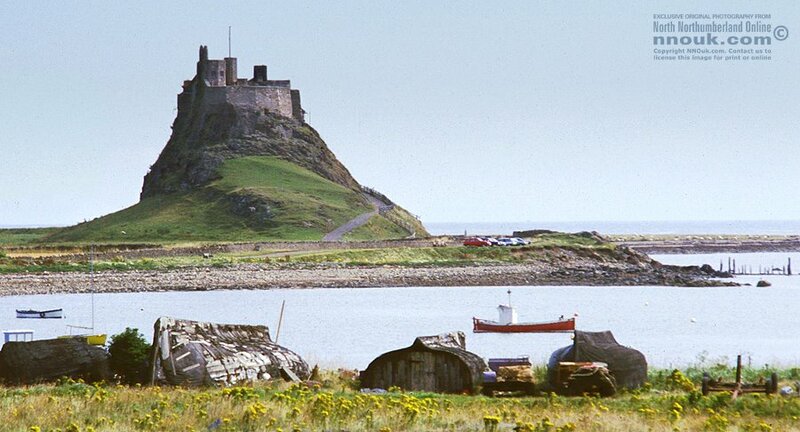 Channel 4 archaeology series Time Team visited Holy Island in its 8th series. You can watch the programme online.